Actress Deepika Padukone have signed her next project with director Meghna Gulzar. 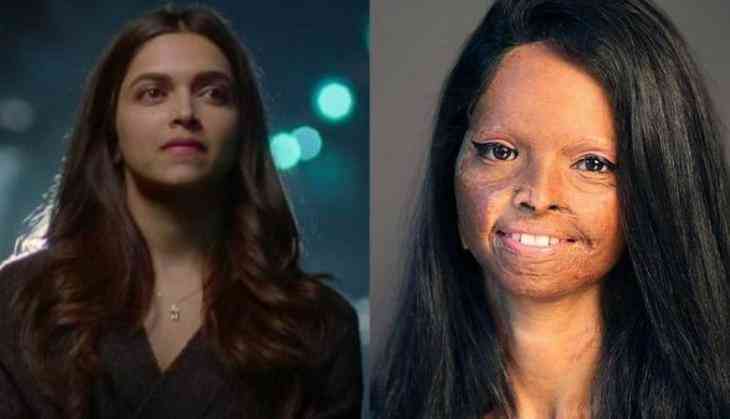 Deepika will potray the role of acid attack survivor Laxmi Agarwal, reports Taran Adarsh, something which has also been confirmed by Filmfare magzine. Deepika will also produce the film. In an interview with the publication the 32-year-old actress said: 'when I heard the story, I was deeply moved as its not just one of violence but of courage and strength, hope and victory. It made such an impact on me that personally and creatively, I needed to go beyond so the decision to turn producer. The Raazi director said she trusted Deepika's instincts. I was instinctively convinced that Deepika will do justice to the character and the story. Also her physicality matched with what I'd imagined for Laxmi's character. Laxmi Agarwal - whom Deepika Padukone will play in the movie - is a TV show host and a campaigner with Stop Acid Attacks. Laxmi also heads the NGO Chhanv Foundation, which aims to ensure better lifestyle and mental health for acid-attack survivors in India. IT'S OFFICIAL... After #Padmaavat, Deepika Padukone teams up with #Raazi director Meghna Gulzar... Deepika will portray the part of an acid attack survivor in the film.